A wonderful album where the title says it all. This album is lush orchestral style exotica with a real Asian tinge to it--a real jewel. This release seems to be from a stereo LP source. But that doesn't really detract much. The audio is sparkling clear with minimal surface noise and pops. It is definitely worth the price of the download if you don't wanna go through the trouble of finding a good stereo LP copy and digitizing it yourself. GEEK NOTE: nobody really seems to know what William Holden had to do with this release, other than the cover photo. He provided liner notes, but Warren Barker is the composer here. 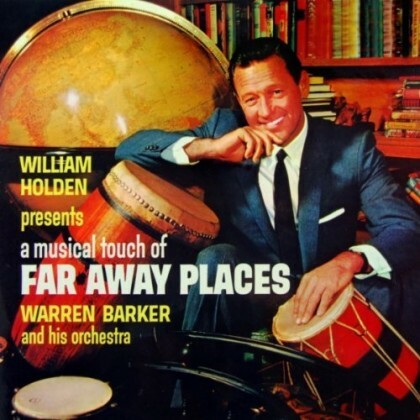 Barker did work on "The World of Suzie Wong" with Holden. Perhaps they were friends. I just don't know. But a nice cover nonetheless and they retained it for this reissue. Kudos!